Including acting workshops for Rotorua Community. 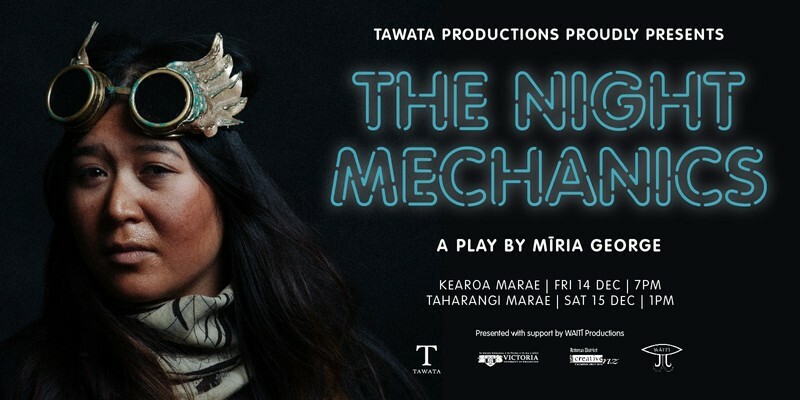 Partnering with Rotorua based theatre and film company Waitī Productions, helmed by playwright, actor and director Cian Elyse White (Te Arawa, Ngāti Porou), the cast of The Night Mechanics are offering two open ‘Acting Workshops’ for Rotorua locals interested in developing new skills for acting for stage and screen. ‘Acting Workshops’ are free of charge. To register your interest please email Tawata Productions - tawata@tawata.co.nz. Proudly supported by Creative Communities Scheme Rotorua.